Great for intermediate dancers to enhance your moves! Beginners are welcome to attend to start learning and getting some skills! Don’t worry if you are just a beginner because half of your classmates are beginners as well who are still learning. In a few classes, you will realize that you are dancing better and better. 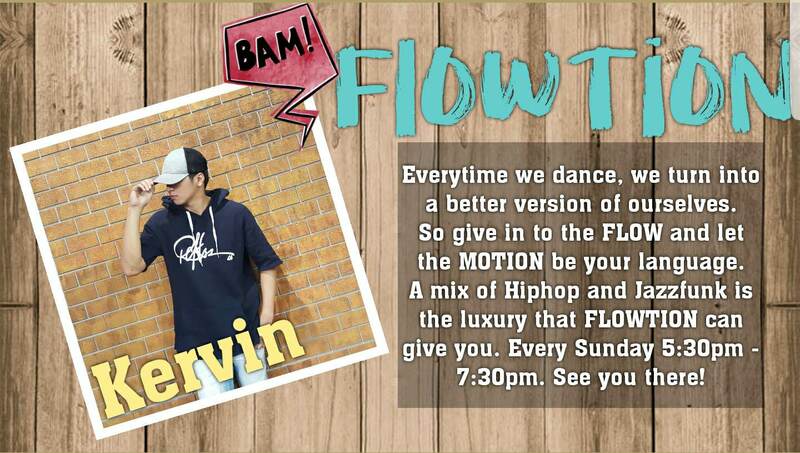 And if you’re intermediate, Kervin’s choreography will be great for you. 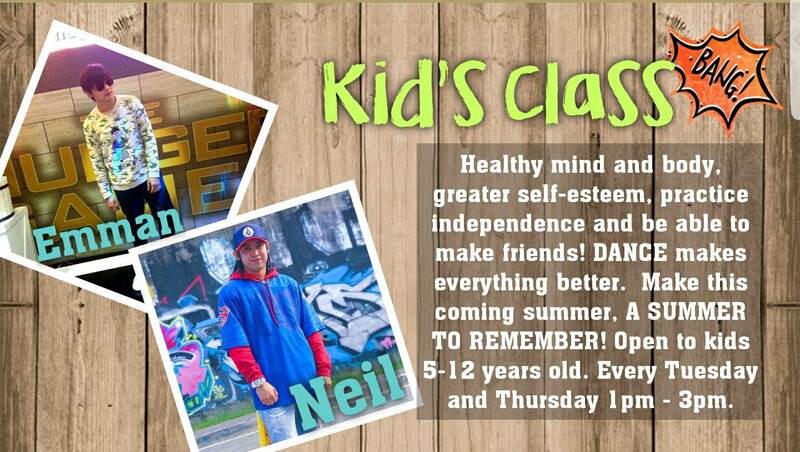 We have classes for kids, teenagers, and adults. As long as you want to learn, exercise, meet new people, or just want to have fun, you are definitely welcome. Don’t worry, the group is very accommodating and friendly, and you won’t feel like a stranger. Before you know it, you’ve made really good friends. BARKADA PROMO - Invite 3 friends and you are FREE! Dance keeps both the body and the brain active, vital for people of every age. Dance offers a way to improve strength and flexibility, which helps keeps muscles and joints healthy. Choosing to start a new hobby can help you meet new people and make friends with people who have similar interests. Dance helps you learn about your body, improving your posture and balance. Taking time out in the day to partake in a hobby can help to reduce stress levels. Dance can offer insight into other cultures, either through the dance style itself or meeting new people. Dance can lead to new career opportunities, or help build vital communications skills needed in every profession. Participating in dance can help increase your self esteem and confidence through mastering new skills. Dance offers a creative outlet for people to express their personalities in a safe environment. Dance is a fun way open up new possibilities, keep healthy and enjoy yourself. performed at various TV shows like Eat Bulaga and A.S.A.P. Choreographed and stage managed commercial and cultural corporate events for Hyundai, Bench, and the famous Gawad Urian. In a decade of dancing, learning and practicing the discipline, Kervin’s passion has brought him to be a dance mentor. Today, he is one of the head of American Institute for English Proficiency’s MAD Project (Music, Acting, Dancing) Dance Division, where he teaches dance to students of different ages and nationalities. Kervin is also one of the street dance teachers at the world renowned The Lisa Macuja School of Ballet Manila. Aside from hip-hop and street dance, he has been teaching aerodance at Slimmers World International Binondo for four years. Also, Kervin has also been a choreographer for Slimmers World’s annual dance competition for four consecutive years. He’s also one of the dance coaches at MILO Champ Moves, the campus tours started by Milo that aims to promote an active and healthy lifestyle among children in public and private schools all over the country. This year, Kervin was selected to be the choreographer of the opening number of the Miss World Philippines 2016. Kervin has worked with a long list of celebrities and artist from different managements: James Reid, Arci Munoz, Toni Gonzaga, Kim Chiu, Iya Villania, Jennylyn Mercado, Arny Ross, Bangs Garcia, Ella Cruz, Jason Dy, and Darren Espanto. One of Kervin’s most proud moments was when he choreographed and danced for one of his greatest inspirations, Gary Valenciano. 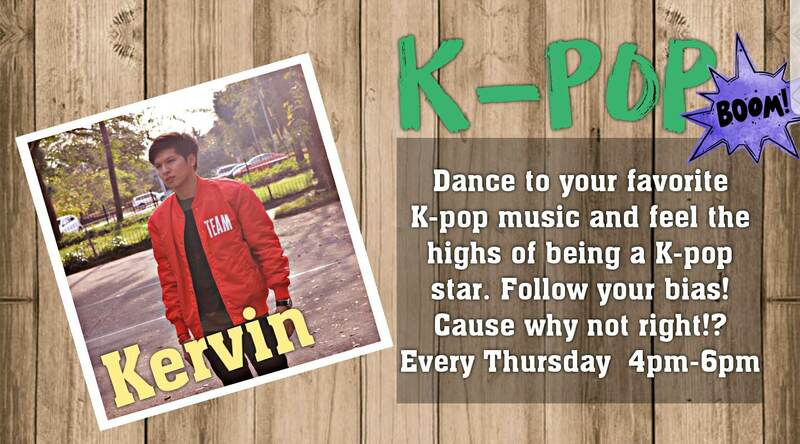 Kervin strives to be one of the best, yes still be grounded and willing to share to others what he has learned. Being the passionate dancer and mentor that he is, Kervin still has bigger plans for himself and the institutions he is affiliated with. Everybody sees that he has gone far in the industry but for him, it’s just the beginning of a longer journey.